The children in room 2 have been using The Little Red Hen as a focus for their learning in lots of different areas. In history the children have been developing their understanding of time and chronology by sequencing pictures from the story. 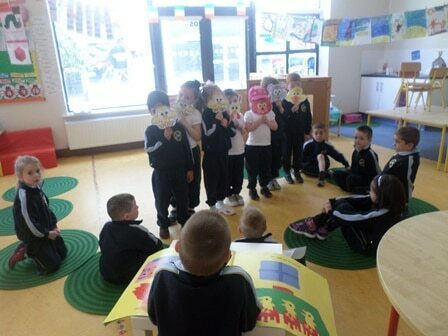 More recently, the children acted out the story for each other. One child narrated the story, whilst others took on roles as characters such as the hen, the cat, and a duck. This is supporting their learning in areas such as oral language, reading, and drama!